AFTER a tough few years East Fremantle’s Hugh Atkinson is back doing what he loves. The promising cricketer, who overcame bone cancer, is off to the UK this Sunday where he will pull on the whites for Challow and Childrey Cricket Club. Atkinson was diagnosed with osteosarcoma – an aggressive bone cancer – in his left fibula in 2015. The diagnosis came just as his mum was recovering from her own battle with breast cancer. He missed a large chunk of Year 10 but recovered well and even returned to the field with the Melville Cricket Club. “I was pretty happy to be back out there,” he said. “It was different for me because I had always played a lot of sport. 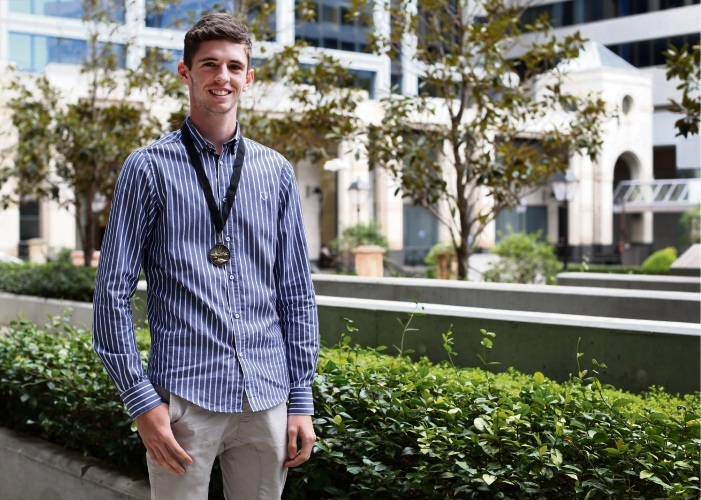 The 18-year-old graduated from Kent Street Senior High School in 2017, earning the chance to study exercise physiology at Murdoch University. But he will hold off on that and a Young Australia League (YAL) scholarship to follow his other passion. The batting all-rounder said he would use the UK trip to gain experience before launching into the 2018-19 cricket season with Melville. He will also take advantage of the YAL scholarship in 2019. The scholarships offer three years of funding help to cover expenses including tuition fees, specialist courses, home tutoring, books, equipment and travel. They are offered to Australians experiencing hardship due to “social circumstances, disability or distance”.